THIS ITEM IS NOT MADE BY Nintendo AND IT'S A THIRD PARTY MANUFACTURED PRODUCT. *Connect the Nunchuk controller to the Wii Remote and get ready. You've just begun a journey into the most immersive, heated gameplay experience ever offered. *This 2 pack offers the utmost precision. *The Nunchuk controller and the accelerometer contained within it are the next leap in gaming. *In first-person shooters, the controller carries the burden of movement, freeing you to aim and fire using a more natural motion with the Wii Remote. *In a football game, you can make your quarterback elusive with the Nunchuk controller while you look for an open receiver to throw to using the Wii Remote. Efficient performance - Use it to move your characters and have them perform all kinds of specific actions whether it's throwing a pass in football or aiming a ranged in an action game. Good Game Helper - Frees you to aim and fire using a more natural motion with the Wii RemoteTake two-handed control of your games,adding a Nunchuk to your Wii system will definitely help you open the doors to the next level of gaming, and seriously step up performance. Perfect Use experience - Contoured to perfectly fit a player's hand, the Nunchuk Remote Controller goes an extra step to meet the needs of gamers, accessible to people of all ages and all abilities. 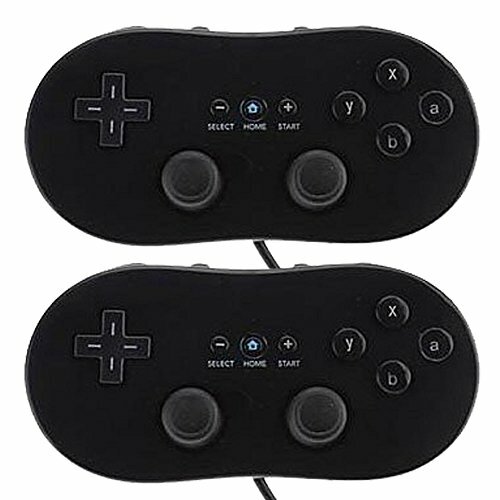 NON-OEM - Third party product, not made by Nintendo, but it has "C" and "Z" buttons and simulation rods, compatible with all Nintendo Wii models. If you have any questions about this product by Poulep, contact us by completing and submitting the form below. If you are looking for a specif part number, please include it with your message.